I recently started back at university, and I won’t have much time for reading or blogging for the next year. Still though, I’ll try to get a few posts up whenever I get the chance. 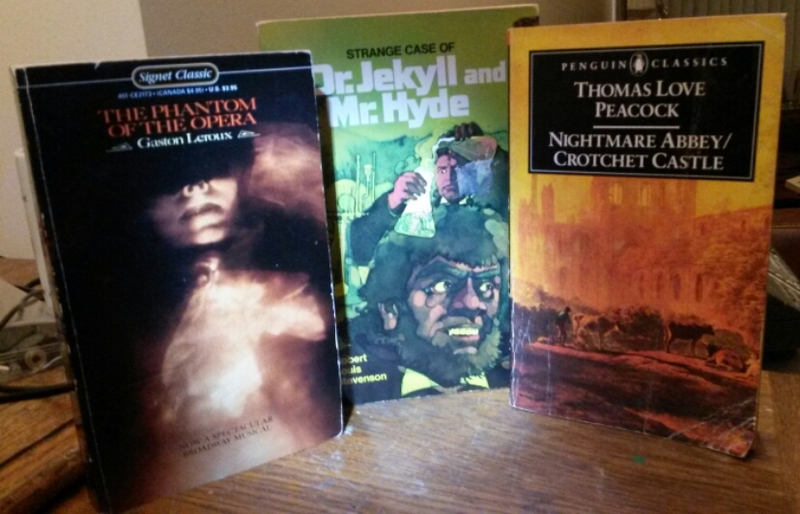 Here are three books that weren’t as good as I hoped they would be. This one was actually pretty good for most of the book. I just felt that the ending was a let down. I read it a good while ago, and I have actually forgotten how it ended. I could look it up for the sake of this blog post, but I don’t think that my fragile heart could bear to go through that disappointment again. Although the characters in here are annoyingly see-through, I think that the biggest problem for this book is living up to the reputation that Hollywood has created for it. The Phantom of the Opera, as an archetypal villain, is in the same league as Dracula or Frankenstein. Unfortunately the book that he comes from is not nearly as good as those of his rivals. It’s still fun though, and I probably enjoyed this the most out of any of the three turds. I had a cool Jekyll and Hyde board game when I was a kid, and I grew up imagining that the book would be as much fun as that game. Unfortunately, it isn’t. It basically tells the same story twice: once from the point of view of Jekyll and once from the point of view of Hyde. The plot is framed around a twist, but I can’t imagine that there are many readers who don’t already know who’s who of this tale. This was another book that I read on a plane, so maybe it’s better than I remember. Still though, I’m not going to reread it. This one isn’t all that bad; it was just quite a bit different to what I expected. It’s often included in lists of classic Gothic literature, and while it is fairly morbid, it’s just not that spooky. Not a lot happens in it either; it’s mostly dialogue. It’s not an all-together bad read though; I definitely got a few laughs out of it. My edition also includes another novel by the same author. I probably won’t bother. Much of the inspiration for that terrible Gothic film by Ken Russell came from this. There you go faithful readers; three turds in the bowl. I’m sure this post has been even more disappointing than any of the books reviewed. Que sera, sera.